I Know What the Media Tells You - But Do You Know Who I Am? Most of us already realise New Zealand’s mainstream media has a powerful influence on the lives of everyday people. What some of us do not already realise is that our media is neither neutral nor objective, the media reflects the society we live in. 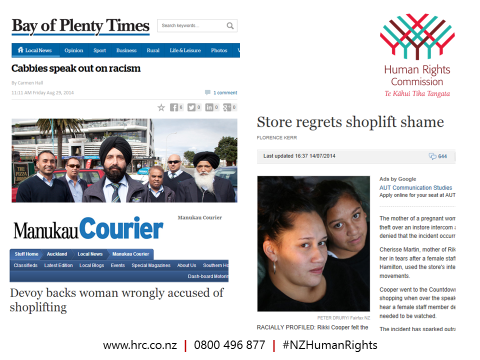 Chinese New Zealanders, Muslim New Zealanders, Jewish New Zealanders, Pacific New Zealanders, Indian New Zealanders, African New Zealanders and of course Maori New Zealanders: members of these communities regularly tell us that the media too often misrepresents, sensationalises or fails to include their voices in news stories about them. Often news stories about ethnic minorities have negative themes and present minorities as problems and not as people. This is not a new phenomenon and with the advent of social media, communities tell us prejudices are often amplified. Anyone who has read the online comments in an online news report about racism will know what I am talking about. Seven days after last year’s terrorist attacks in Paris we were contacted by a reporter who told us that a migrant trust was banning the word Christmas to appease Muslims. The reporter wanted to know if I agreed with them. Before we commented we contacted the trust: who were stunned. They’d been told the paper was working on a positive feature story about how diverse Auckland celebrated Christmas: they’d not been asked if they were banning the word Christmas to appease Muslims. They had told the paper about their party plans and confirmed that they’d always used secular language. The reporter demanded that we either condemn or support the trust’s use of secular language. We refused to do either. Instead we defended the trust’s right – and every New Zealanders right – to decide what kind of language they use. We said that New Zealanders should choose how they observe Christmas. We live in a free country, where tolerance and freedom of religion are things the Human Rights Commission stands for. But in spite of this, the next day the article announced that the trust and I wanted to get rid of Christmas to placate migrants who were not Christian. Ironically while we were taking media calls over this Christmas issue – we were also attending interfaith peace vigils. But the paper at that time didn’t want to know about the interfaith meetings taking place in mosques across the country – the paper wanted to write a story about how New Zealand’s way of life was at risk from migrants and newcomers. It was not lost on us that the article’s timing was strategic and cynical: It had only been 7 days since terrorists had murdered 130 people in coordinated attacks across Paris. The article pushed the buttons of fear and intolerance and served an existing undertone of anti-migrant and anti-Muslim rhetoric: and the immediate response from many New Zealanders was angry, abusive and offensive. The article definitely got people talking, but after a month or so the majority of editorials and commentators had realised what we had been saying for weeks: no one was banning Christmas; Kiwis can decide for themselves; New Zealand’s way of life was not in danger. Maori New Zealanders have endured biased treatment by the media in this country since the time the first newspapers were printed. Maori are viewed as different whereas Pakeha things are viewed as normal. Our Treaty of Waitangi settlements process is a judicial form of truth and reconciliation that acknowledges human rights abuses faced by generations of New Zealanders: and yet some describe settlements as privilege and special treatment. Earlier this year we came out publicly about a TVNZ online survey that if you took it, would tell you what kind of Kiwi you are. 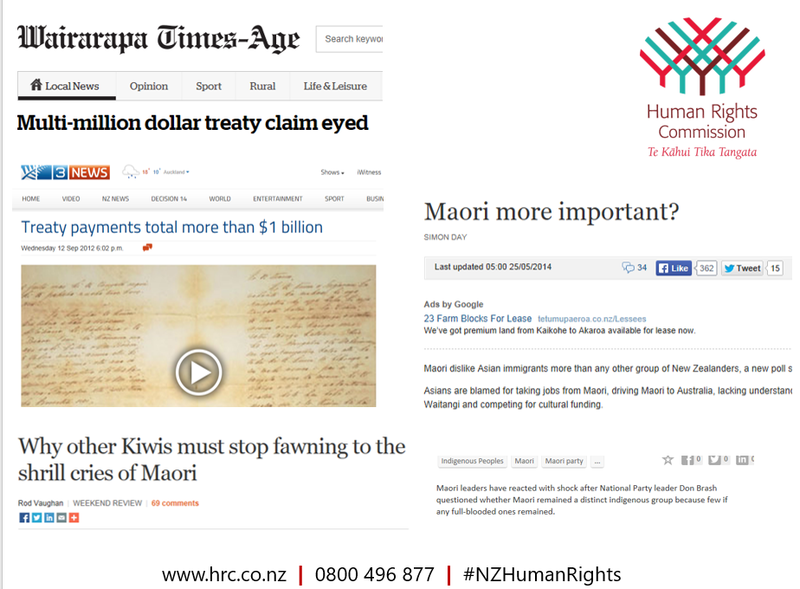 Maori should not receive any special treatment – and respondents were asked for their opinion on this. 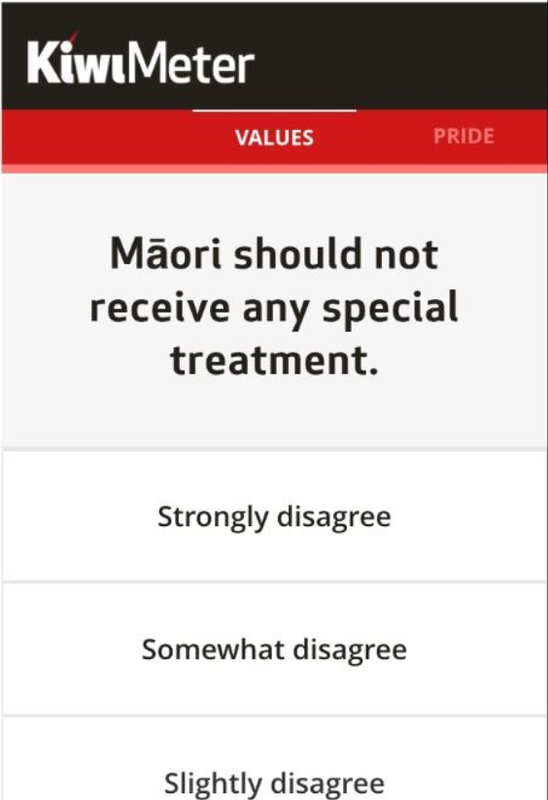 We called this out as a leading statement that demonstrated a clear bias: Kiwi meter had decided that Maori receive ‘special treatment’ even though they did not explain what this actually meant. This effectively asked us whether Maori New Zealanders deserve fewer human rights than other New Zealanders: we are incredulous that a state broadcaster in 2016 would even pose this kind of question. 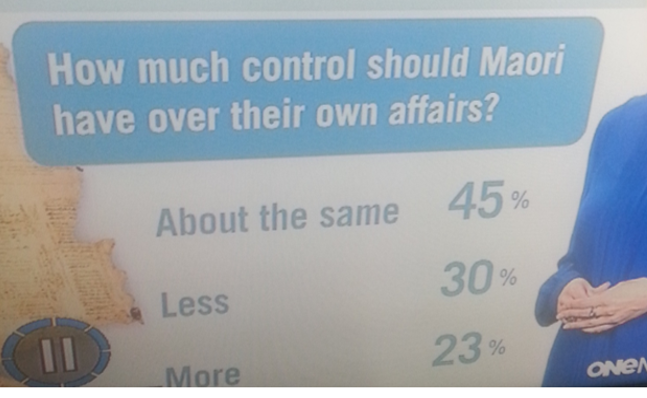 If the question was ‘How much control should Pakeha have over their own affairs?’ it is unlikely this question would have made it onto our television screens. We support open discussion about national identity but urged our media and specifically the team behind Kiwimeter and Compass – whose members include journalists and political scientists in New Zealand and Canada – to think carefully about where their leading questions are taking us. We live in one of the most ethnically diverse nations on the planet and that demographic change has taken place in less than a generation. Whether we choose to actively work at peace will help decide what kind of country we leave behind us. I have great faith in our future leaders. It is to our children that we look to as we consider our nation’s changing face and it’s a beautiful, talented and incredible changing face. One of our top female athletes is a young Korean Kiwi called Lydia. Our most successful female artist, Lorde, is the daughter of Dalmatian immigrants. One of our top All Blacks is a Samoan Kiwi who’s also Muslim. Our first NBA star is a proud Tongan Kiwi as his Olympic Champion sister. Our parliament looks more like the people it represents than ever before: three political party leaders are Maori New Zealanders. Our journalists have names like Ali Ikram, Ruwani Perera, Mihingarangi Forbes, Chris Chang and Mohamed Hassan. We hear from economists like Ganesh Nana and Shamubeel Eaqub. There is an entire television channel broadcast in te reo Maori. This is a different kind of New Zealand than the one I grew up and it’s an awesome New Zealand. While the media may not be neutral or objective, the media reflects the society we live in. We have a choice and responsibility in how we engage with one another. How we choose to shape the New Zealand we want for ourselves and for our children and their children after them. Original generation time 1.2457 seconds. Cache Loaded in: 0.0314 seconds.